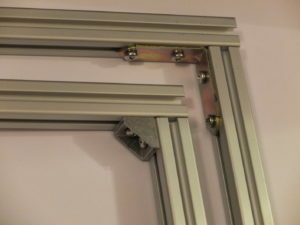 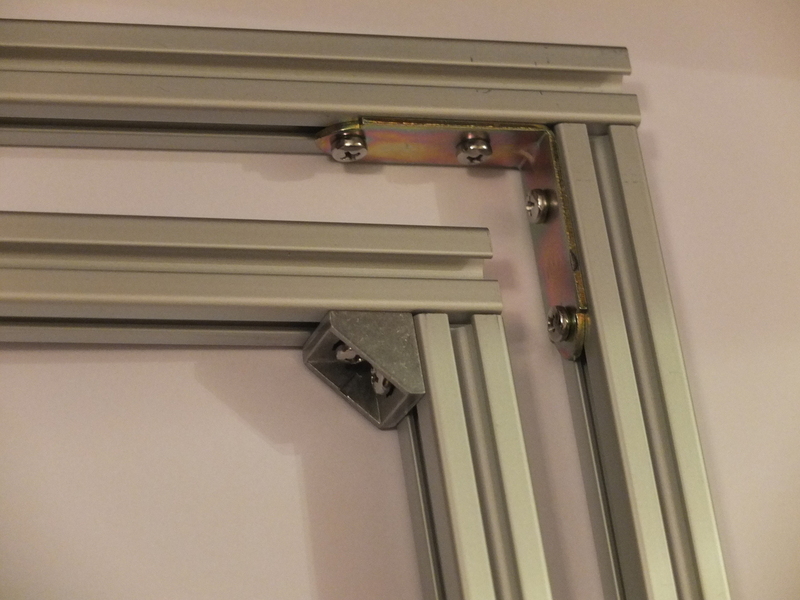 For building the frame I used 2020 aluminium extrusion (Misumi-like, that one I ordered from ARMA), but for the corners I had to improvise – you should use a corner + side plate for correct mount, but since this is a prototype I got some flat furniture corner that grasps the extrusion pretty well. 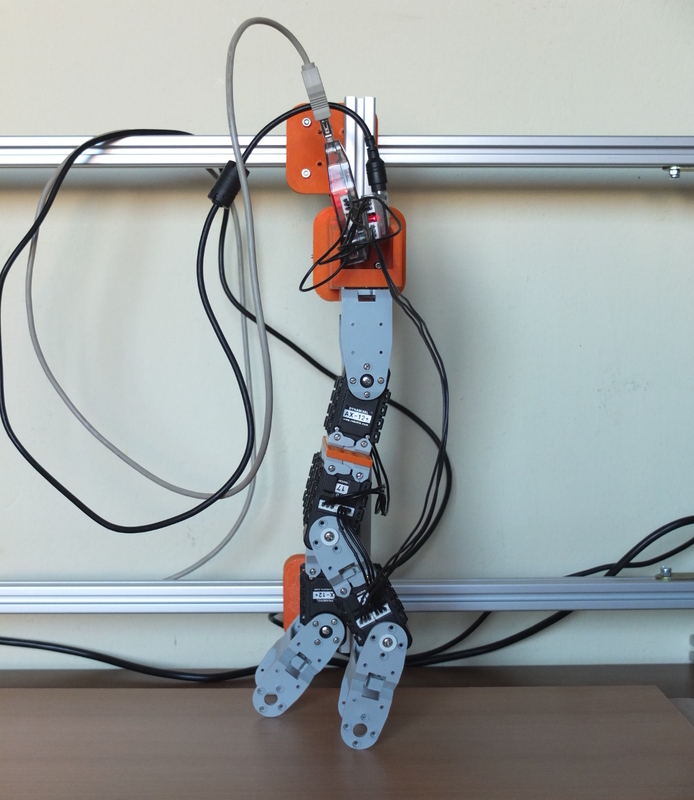 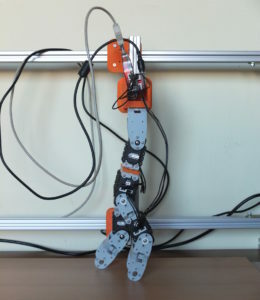 In order to constrain the biped in frontal plane I used linear bearing – first idea was to use MGN-12H that were left from the Delta printer build, but they were too short and quite honestly the balls seemed … square (chinese brand, don’t ask). 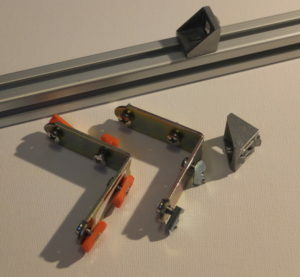 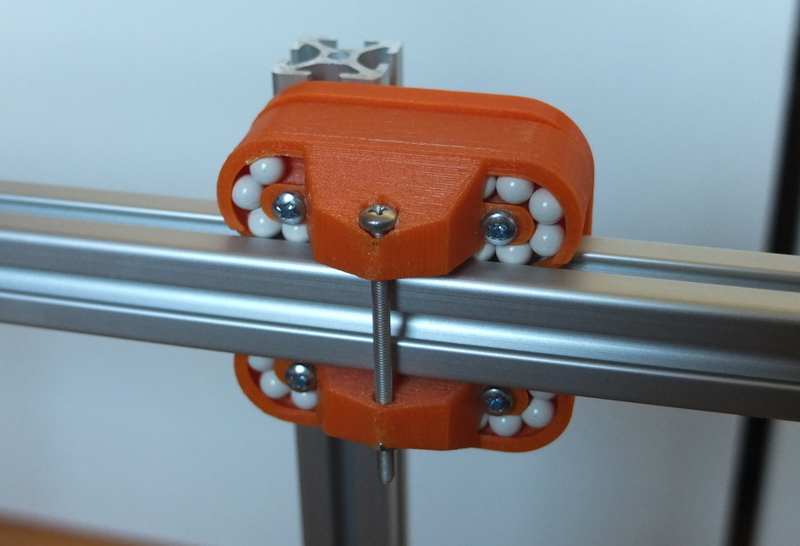 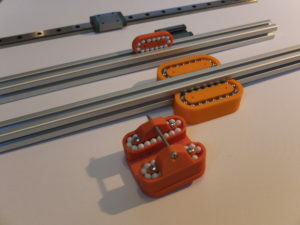 First I downloaded some 3D-printable linear carriage from the internet, based on the metal balls from the bicycle, but finally I redesigned a Kossel-printer carriage for usage with 6mm plastic ABS balls.